Born and raised in Brantford, Ontario, Howard is a graduate of the University of Western Ontario Law School and was called to the Bar in 1979. After relocating to Milton that same year, Howard joined Hutchinson, Thompson & Henderson and shortly afterwards became a Partner. Howard has provided a full range of legal services over the years, but since 1985 he has focused on Business Law and Real Estate and Land Development. Since 1985, Howard has provided comprehensive legal, project management and development consulting services to a varied clientele in both the private and public sectors, including municipalities and telecommunications providers. He has been involved in residential, commercial, industrial and recreational projects throughout Halton, Peel, the GTA West and surrounding areas. Howard provides cost-effective and expeditious processing of new homes sales in markets such as Milton, Caledon, Markham, Vaughan, Brampton, Mississauga, Oakville, Burlington, Halton HillsToronto, Erin and Guelph, and Grimsby. 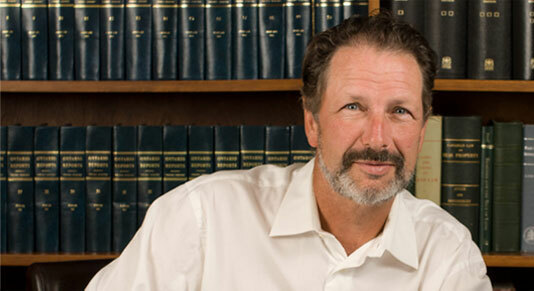 Howard is also proficient in providing a full range of Estate Planning and Business Law services to his clients. To see some of the projects Howard has worked on click here. Howard is a member in good standing with the Law Society of Upper Canada, the Canadian Bar Association, Halton County Law Association and BILD. He has been involved in the community in many different ways over the years, for more information click here. Despite the demands of practicing law, Howard enjoys spending time with his wife and three children. When there is a free moment, he likes to indulge in his passion for fishing and golf. © 2019 Hutchinson, Thompson, Henderson & Mott. All rights reserved.